So I’m back with this year’s 2nd Questions & Answers blog post. lot to be desired, so it’s understandable that everyone is worried. Unfortunately there’s nothing much we can do other than wait and see how it all pans out. Was I scammed? $165 PS4 consoles from Alibaba! What’s the best way to LINK eBay sales with Amazon & Magento? Where I can download a good Blu-ray listing template? Should I increase my price once I’ve reached the top of eBay’s search results? So I recently started to try out Alibaba and am still in the process of my first order. The person is located in Nigeria but the items are being posted to me from the UK. So far I have paid $165 but have been told that 5 units were posted to me, rather than just 1… they are now asking for $150 for each unit and $200 for customs fees. The company is a gold supplier and has been for 8 years and they have sent me some tracking information but I’m very worried about proceeding any further. What do you suggest? I’m sorry to be the bearer of bad news but you have officially been scammed. I mean, $165 for a PS4, coming from Nigeria – that is a SCAM! I’m sorry to be blunt but did you really believe that such a deal existed? You will never get pricing even close to that, and I could have told you this was a scam just from the combination of Nigeria and branded consumer electronics. So please accept the fact that you have lost your $165 and leave it at that! If you continue to communicate with them you’re going to lose even more money. There are so many guides all about sourcing products from genuine and safe suppliers on this very blog, so please take the time to educate yourself as much as possible, as it’s clear you’ve got a lot to learn about importing. Overall $165 is a small price to pay and it could very easily have been a lot worse for you! I love your blog – please keep up with the informative posts as they’re great! I have been searching for a program or something that can eventually link everything together for ease of management. I am only selling on eBay right now, but will expand to Amazon next and then my own online shop and also possibly some other selling channels. The problem that I am trying to solve right now is the ability to look at sales per product over specific time periods. The main thing is I want a solution that is simple as I have EPOS systems for my other businesses which makes the entire process much easier and I am surprised that on eBay everything seems more complicated (I’m not sure if it’s relevant but I’m currently on a personal account, though I plan to upgrade to a Business account with Top-rated seller status at the end of this month). Basically what I want to be able to do is select a date range and then see sales by product, not just an individual transaction list. And then the feature I am trying to plan ahead for is a system that allows me to see sales, inventory and everything else from one place. So is there anything that can do these two things specifically, if trading on all the platforms I mentioned above? I have found something that can achieve this through Magento but as I want to focus on eBay and then Amazon, I’d prefer something that works with them. Yes, there are many such systems already available and ready to use – they’re usually called multi-platform selling tools or cross-channel selling tools. 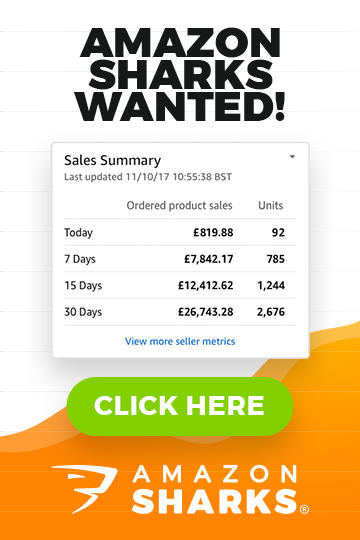 It will give you detailed sales data, it allows you to process all orders from eBay, Amazon & your own online shop in one place, you can manage inventory across all your selling channels, and much more! It will also allow you to see product specific sales data for any set date range, compare periods of time, compare products etc. etc. It’s not cheap and comes with a learning curve but the features are really invaluable and the stock management alone is something you can’t live without if you sell on all 3 platforms. I’ve been browsing your site for the last few days with a view to setting up my own eBay business and the other day I came across a page that had a free Blu-ray template available to download and use on eBay. Instead of downloading the template then and there, I foolishly put it off and now I don’t seem to be able to find the page again. Alternatively, take a look at my SpicyAuctionTemplates.com website. For a one-time fee of just £29.95 you get access to hundreds of eBay templates, instructional videos, and the members-only forum. In SAT you’ll find several, high quality templates specifically for Blu-rays too. I’ve been keeping tabs on a few sellers (competition) and I noticed that one has a listing that’s been priced at £4.49 for a while now (still making profit at this price as I know what the cost of this item is) and as soon as they reached top position they bumped the price up to £12.95 and it stayed there for about a week before dropping down in the search results. And at that point they lowered the price back to the normal £4.49. Is this a common technique for gaining huge profits in the short term and then repeating the cycle? What are your thoughts on this “system”? Do you think it’s worthwhile or is it better to just reach the top spot and keep the price as it is? I have one listing on top spot and I’m tempted to push the price up massively but I know it will drop down again and I’ll probably have to sell at a loss to get it back up to the no.1 spot once more. There could actually be another reason why they did this – it may be that they were running low on stock and so increased the price to slow sales down until they could get new stock in. This is actually a very common occurrence on eBay. If they really did increase the price to try and take advantage of their high search position, then in my opinion that was an extremely dumb move! In the short run, yes, they could make a small amount of profit but as soon as they increase the price to that level their conversion rate will drop and eBay will react by lowering the listing down in their search results. And they’re actually very lucky that it stayed high for a week, as it will normally drop much faster. From my own experience I can tell you that any such drastic and sudden changes to a listing only upsets eBay’s search algorithm and can put your listing as low as the 10th page of results! So don’t play with fire and instead work on steadily getting your listings ranked well and then reap the benefits of that, without trying anything too drastic. That’s it for today! Thanks to all the people who sent in their questions! 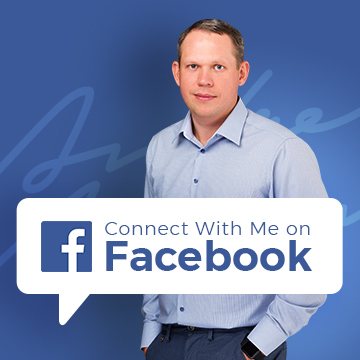 Remember, you can ask me anything related to eBay, branding, importing, eCommerce, etc. via my help desk here. Even if your question isn’t featured in our weekly Q&A post, you’ll still receive a personal reply from me with answers to your questions. The problem. I have contacted 3 manufacturers in China to try and buy 50 and 100 item pieces. They at first agreed. Then they they ask where are you going to sell these particular items.. When I said ebay uk, they declined my money. I see the manufacturers are actually selling these exact items themselves on ebay uk direct from China. So I assume that is why they did Not want to sell to me. Am I correct? I suppose I could have said I am selling from my website but I would soon have got found out by them. Yes, from the details it could be the case. But these are exceptions. Majority (by far) suppliers on Alibaba won’t care where you sell their products. So just look for alternative suppliers. hello andrew, i would like some advice from you, i am considering buying the e commerce magnates dvd ,i have a small business which is motor trade related with no website or ebay shop,but i need to rectify this situation i am a novice when it comes to computers and the internet, so would this program help me to develop the business or what would you suggest, maybe the 60 day progamme let me know you think to start with. regards james. If so any suggestions ? On average only 50% of people will leave feedback. In some niches it’s even less, around 30-40%, in some it may be as high as 60-70% but usually it’s around 50% mark. So if half of your customers leave feedback, there’s nothing to worry about really. A note asking for feedback – sure you can do that or simply include that info on the invoice or packing slip you send out to save on cost. Don’t forget that you can set-up auto feedback reminder emails too, which probably are more efficient than a note.